International University "Global Theatre Experience" (IUGTE) and "ArtUniverse"
are inviting you to take part in the programme of the International Performing Arts Lab and Conference. Accommodation and meals are organized. To apply for participation, candidates should send brief CV/resume with photo and a cover letter toiugte.projects@gmail.com For groups: the leaders should send the list of all candidate names and the details of the organization/university they represent. 560 EUR 180 EUR per person for groups of five and more participants. (the fee covers participation in all events of the programme - practical workshops & presentations). Ostrenko Lab programme: Russian Theatre Tradition. Performer's physicality in the methods of Stanislavsky, Meyerhold and M.Chekhov. Theatre Biomechanics and Meyerhold's Biomechanics Etudes. Tai-chi for actors. Training by method of improvisation. Scene composition from exercises to performance. Physical Action as the most important element in acting. Method of Physical Actions. Given Circumstances. Inner Monologue. Active Analysis. Theatre Psychotechnique. The Psychological Gesture. "Singing the Text: An Exploration of Voice and Movement Using the techniques of Master Voice Teachers Kristin Linkater, Cecily Berry and Anne Bogart’s Viewpoints" - practical workshop with Christina Keefe - actor, teacher, voice and text coach (USA). "Unlocking Tensegrity with Pressing Flair" - practical workshop with Cynthia Roses-Thema - Ph.D., dancer, educator, writer, performer, dance critic, teacher (USA). "Building Stages Across Platforms: How New Media is Changing the Landscape of the Performing Art" - presentation with Jennifer Edwards - MFA, RYT, cultural critic, public speaker, writer, choreographer (USA). 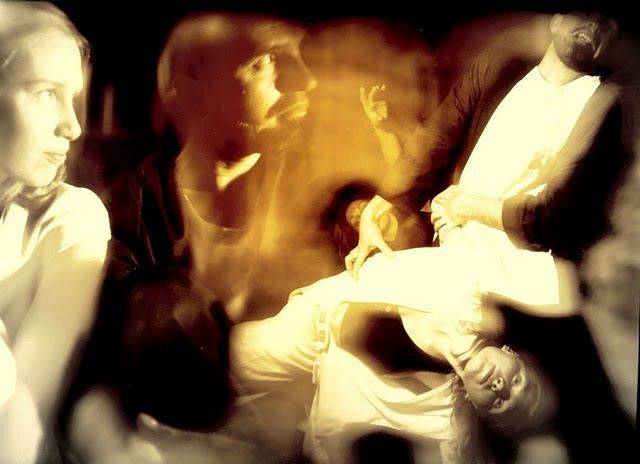 "Dramatic Action in Movement: Psycho-Physical Exploration of Text and Action" - practical workshop with Cara Rawlings - teacher, performer, fight director and dance choreographer (USA). "Theatre Biomechanics" - workshop with Sergei Ostrenko - theatre director and teacher (Russia). "Scenical music productions for families with very young children: from an overview of past creations to new perspectives and challenges on artistic creation addressed to infants and toddlers" - presentation with Helena Rodrigues - Member of IUGTE, musician, psychologist, music and drama therapist, teacher (Portugal). "Actor Training in Harold Pinter’s A Slight Ache" - presentation with Hsiaoling I - theatre actor, director, teacher of performance and vocal skills (Taiwan). The conference is a chance to explore contemporary methods and techniques in performing arts education and training, to establish new contacts, to exchange experiences with colleagues from different countries and to lay the foundation for future networking and collaboration! IUGTE help to organize inexpensive and qualitative accommodation and meals at Retzhof Castle Hotel. Accommodation in shared twin room (two persons share one room with separate beds, shower/wc) is 38 EUR per day including all meals (breakfast, lunch, dinner). Single room is extra 7 EUR per day.